48 cardboard silhouettes each bearing the name of a soldier/airman from our parish sitting in the pews as they would have done before joining up. 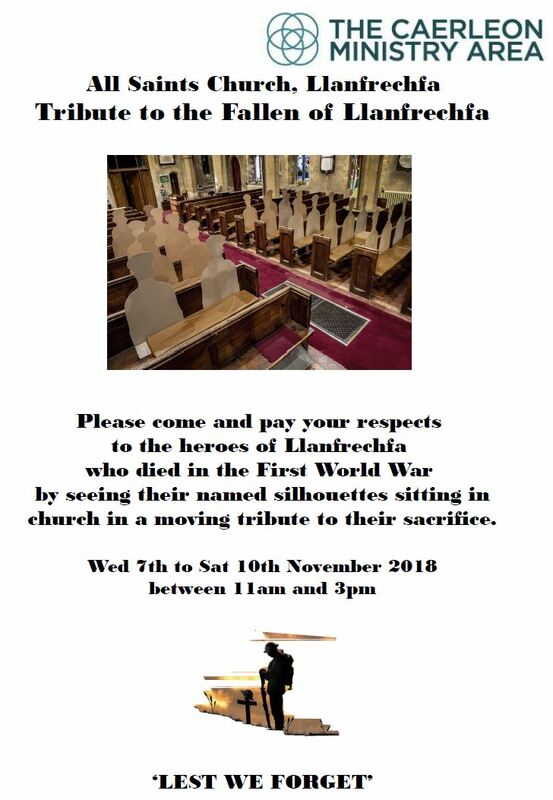 We hope also to display further information about some of those men in what we believe will be a personal and moving tribute to our local heroes. All Saints church will be open from Wednesday 7th to Saturday 10th November between 11am and 3pm to allow visitors to pay their respects.